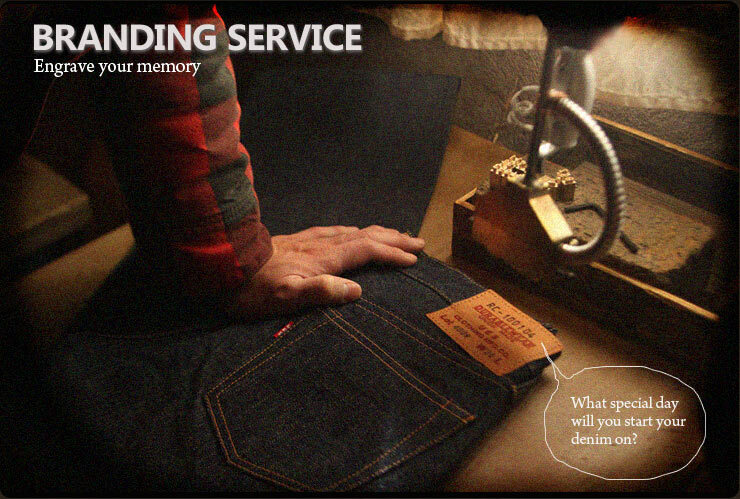 The denim which ticks away a memory. 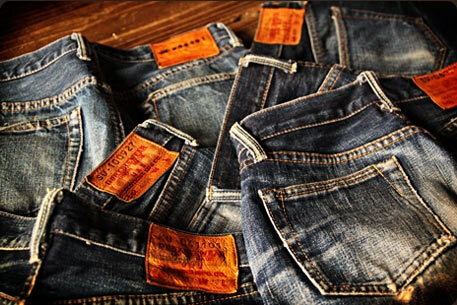 The date you start denim is branded on the upper space (upper part photograph reference) of the leather label is done using a branding iron. The basics are “dates of purchase”, but as for the date of the branding iron, it is possible for a branding iron to be just ten days of the date of purchase later by the date which you choose. Please note that you cannot choose your initial or a favorite date. 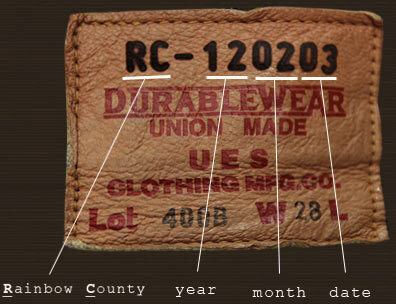 If you hope to brand your desired date to the leather patch, please e-mail us "Branding date". If you don't have preferred date, we will put your purchase date.